cballreich: I love that song!! Thank you for playing it again! ncaskey: so cute! you and the song! cballreich: There's a cool Harmony banjo at BBME if you come down tomorrow night. cballreich: Such a cool song. jewels: I love you, girl. Happy Birthday! cballreich: I talk to my bass while tuning. Sometimes it's not nice. Rainperry: I love that line about singing imperfectly. ncaskey bought reward: "MP3 of unreleased song demo"
wahoo402: That book! oh, yeah. jewels: And you have been tuneful! jewels: Oh Echo Sparks and I are twitter tweeters now! cballreich: Echo Sparks loves all our twitter and FB friends! cballreich: This is one of my favorite DLC songs! wahoo402: Thank you, dear one! SusanK bought reward: "MP3 of unreleased song demo"
daryl_addison bought reward: "signed 2016 Banjo Babes Calendar & Compilation Album - delivery fall 2015"
jenadouglas: don't know how to watch... I know I am late but...? That I was able to watch/listen to it! This is the first time that has timed out. Way to go, Donna! My favorite thing about the show is Miss Donna Lynn Caskey! So nice to hear Donna Lynn's songs from her CD Nameless Heart as well as some Holiday songs, some that I heard for the first time. It was a perfect 1 hour mid Dec concert. 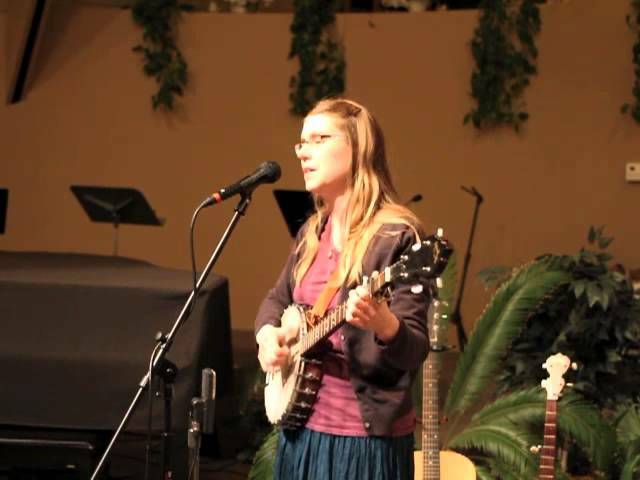 Donna Lynn Caskey is an innovative clawhammer “Banjo Gal” and so much more. Her songs comfort listeners by simultaneously acknowledging life’s difficulties while offering a genuine message of hope. Audiences appreciate Donna Lynn’s heartfelt, playful stage presence and the opportunity to sing along during performances. Her timeless sound hearkens back to old-time mountain music and bluegrass as she poetically explores contemporary subject matter, securing her place in the modern folk genre.